CHICAGO (WLS) -- Chicago police have issued an alert about an attempt to kidnap four boys in the Auburn Gresham neighborhood on the South Side Friday. Police said the suspect drove up to the boys in a van in the 1000-block of West 75th Street at about 6:30 p.m. and asked them if they want a ride. 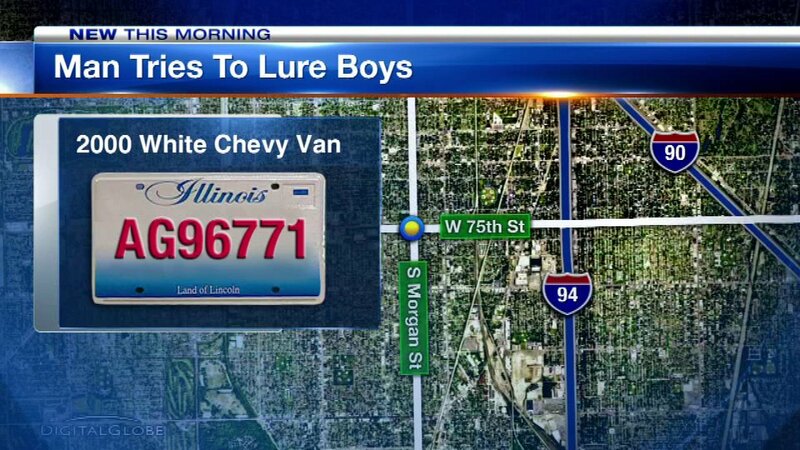 The van is described as a 2000 white Chevy van with Illinois license plate AG96771. The suspect is described as a Hispanic man, 23-27 years of age and 150-160 pounds with olive complexion.